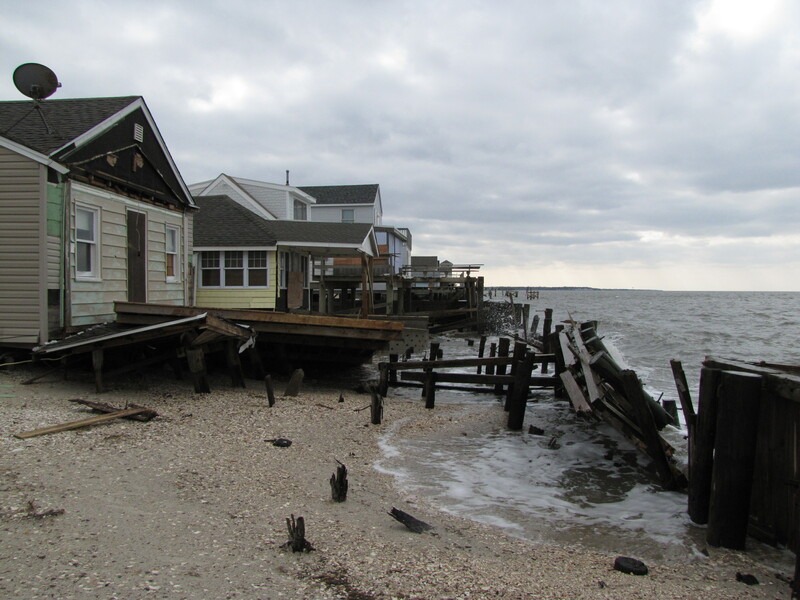 Herald Newspapers — In the wake of Hurricane Sandy, the coastal zone of New Jersey faces damage assessments and clean-up efforts of historic proportions. As homeowners and area business owners return to begin the process of repair and, in many cases, reconstruction, it is essential that certain steps be taken to document property conditions and seek guidance from trained professionals prior to beginning demolition and repair. To proceed without doing so risks safety and liability exposure that can create costly delays and violations of local, state and federal regulations. First and foremost, safety is at the top of the list. Electrical and mechanical systems, as well as structural integrity should be inspected immediately. Many properties were impacted well beyond just the structures; significant losses of land area also contribute to structural instability and exposure to further damage from wind and waves. Licensed professionals, such as architects and engineers, experienced in coastal construction and project management are a good first step in understanding and documenting the extent of property damage. Building codes and flood zone regulations are established to provide safe standards, and reconstruction of older structures may require consistency with newer standards depending on the extent of repairs required. Prior to significant repairs and reconstruction, permits are required from local, state and federal authorities, especially in affected areas along the waterfront. Understanding the complex environmental protection and land use regulations in the coastal region requires expert environmental professional guidance and often times determinations from the various regulatory agencies, including N.J. Department of Environmental Protection (NJDEP) and the U.S. Army Corps of Engineers (Corps). While there are provisions within the regulations that exempt some reconstruction from obtaining state and federal permits, these cases are restricted and often mandate the use of specific construction materials, require proof of prior conditions/serviceability and establish restricted timeframes. Both the NJDEP and Corps are coordinating with one another and FEMA in response to the need for reconstruction and property restoration. The NJDEP is working to provide a streamlined determination and application process to facilitate approvals for property repairs. Post Hurricane Sandy public information is provided by the NJDEP at http://www.nj.gov/dep/special/hurricane-sandy/. The Corps is focused on utilizing the most expeditious permitting procedures available, including the use of regional and nationwide permits to the maximum extent possible. Clarification on the processing of Corps applications can be found at http://www.nap.usace.army.mil/Missions/Regulatory/PublicNotices.aspx. In limited emergency cases, where hazards to life, significant loss of property and economic hardship can be established, relief may be granted from these agencies; however, specific proofs must be provided to justify these requests. Simple health considerations are too often overlooked. Before resuming occupancy it is vital to ensure that no environmental hazards exist that could develop into future health-related problems. Potable outdoor wells are a good example. If the well head has been covered with flood waters, contaminants could enter the system, compromising the quality of potable water. Wells should be inspected and disinfected before use. Qualified well installers are good resources to inspect and conduct the proper remedial action. A bulletin prepared by the EPA located on the web at http://water.epa.gov/drink/info/well/whatdo.cfm is a helpful guide for property owners and delineates the various conditions and steps that should be taken. The Cape May County Health Department provides health-related hurricane recovery resources at http://www.capemaycountygov.net/FCpdf/NJDOH%5FEEOH%5FTALKING%5FPUBLIC%5FCALL%5FCTR%5FTALKING%5FPOINTS%2E101786%2Epdf. Protecting property owner interests is another important component in this process. While the initial reaction may be to act as quickly as possible to restore life as usual, many people tend to ignore obtaining written contracts and agreements from contractors and professionals that properly outline the scope of work required, cost, and responsibility of each party. Governmental agencies (local, state and federal) and insurance companies, in the processing of claims, will require proof of pre-existing conditions and copies of proposed plans. Documentation such as surveys, building plans and permits can save considerable time and avoid potential conflicts during the remediation / reconstruction process. It is critical that property owners document every step and maintain multiple copies of authorized agreements, applications and documents. Due to the damage sustained in New Jersey, Hurricane Sandy resulted in a federal “Major Disaster Declaration” on October 30, 2012 by the federal government, which provides for direct federal assistance. FEMA is conducting outreach efforts in the County to assist with information and claims. A Disaster Recovery Center is open at the main branch of the Cape May County Library in Cape May Court House where applicants may go for information about FEMA or other disaster assistance programs. Additional FEMA information on disaster assistance can be found at http://www.disasterassistance.gov/. Before acting, take the time to seek necessary professional advice. No two properties are alike and each requires individual attention to assure the maximum return in the most expeditious manner. In these trying times, professionals form specialized teams to assist in recovery efforts. The Design Collaborative and The Lomax Consulting Group, along with other highly experienced professionals, have assembled a team of architects, engineers and environmental experts to help define various options and implement solutions in these difficult times. To contact The Design Collaborative, please call 609-465-4111 or go to our website at http://www.tdcarchitect.com. To contact The Lomax Consulting Group, please call 609-465-6700 or go to our website at http://www.lomaxconsulting.com.